It’s hard to judge Satanic Blood outside of the VON legend. 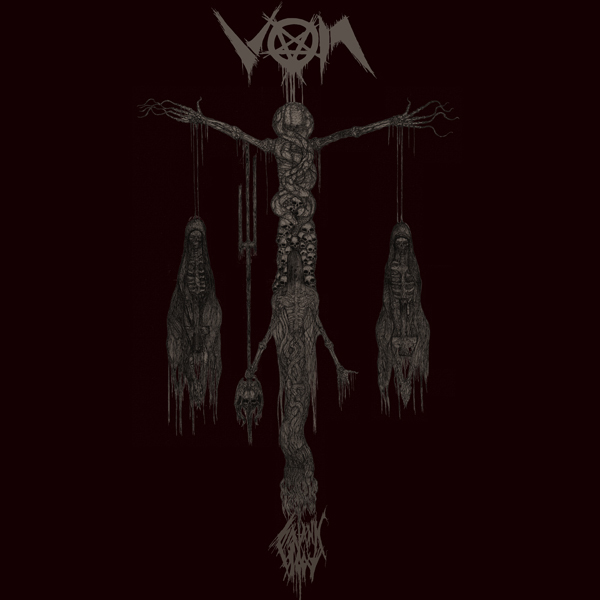 VON was the first U.S. black metal band and was active at the same time as the original incarnations of MAYHEM and DARKTHRONE. While they never got the amount of recognition those bands received, VON were still influential on the scene. BURZUM’S Varg Vickernes is a fan and once famously wore a VON shirt during his murder trial. The only member of the current line up that can be even remotely considered an original member is bassist/vocalist,Venian, who founded VON along with Shawn “Goat” Calizo. but left the band before ever recording anything. Still, this collection of rerecorded demo material provides a glimpse at the second wave of black metal when the genre was still in it’s embryonic phase. The songs on this collection are pure black metal savagery. No solos, no orchestral keyboards, no slick studio production. Just raspy multitracked vocals, endless blast beats and hypnotically repetitious guitars. Satanic Blood isn’t a great album and every song essentially sounds the same, but it’s an interesting time capsule from one of the genre’s founding (and forgotten) bands.